Pamper your pet with our grooming services and spa treatments. 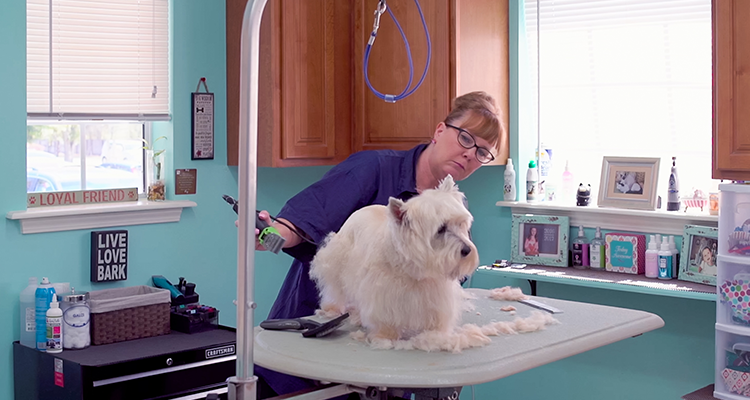 We have highly talented groomers on staff to keep your dog looking and feeling their best. Our team will ensure your pets receive the best services while remaining free of pain and discomfort . Spa Treatments – We offer spa treatments to give your pet some extra loving. Your pet can now receive the same luxurious spa treatments, including facials and oatmeal baths, that you enjoy. While we are always happy to groom your pet during their extended or daycare stay, you may also bring your pet in just for our grooming services. Prices vary by size. Please contact us for pricing.